US President Donald Trump's threat to tax imported cars in the name of national security risks weakening domestic manufacturers, but could accelerate the renegotiation of the North American Free Trade Agreement. At the end of the Group of Seven summit, Trump renewed his threat to impose tariffs on cars imported into the United States by manufacturers accused of unfairly taking market share from American carmakers. But this decision—part of Trump's "America First" efforts to redress trade imbalances—may be counterproductive because not only do most of the targeted manufacturers have factories in the US, but American carmakers are among the largest importers of vehicles from Canada and Mexico. The move would also come at a time when China—the world's largest car market—is moving in the opposite direction, lowering taxes on imported vehicles from 25 to 15 percent. "The Honda Accord is not a threat to our national security," tweeted Jeb Hensarling, the Republican head of the House Finance Committee. "However, taxing it with trade tariffs is a threat to the economic security of millions of hardworking American families," he wrote. The Trade Partnership Worldwide consultancy estimates that additional taxes of 25 percent would create 92,000 industrial jobs in the US but would result in the destruction of 250,000 jobs in the larger economy. About one million jobs are currently tied to the auto industry, up from 660,000 in 2010, according to the US Bureau of Labor Statistics. Trump's statement about the imbalance between imported and exported vehicles in the United States is supported by statistics. In 2017, the United States imported 8.27 million vehicles valued at $192 billion and exported 1.98 million at a value of $57 billion, according to the Commerce Department. But in general, the US imports less-expensive cars and exports high-end vehicles. For example, more than 70 percent of the 371,316 vehicles produced by BMW's South Carolina plant were destined for export. "European automakers not only export vehicles into the US, but many of them also have a major manufacturing footprint there, thereby creating hundreds of thousands of direct and indirect jobs," the European Automobile Manufacturers' Association (ACEA) said. "A large part of their US production is exported to third countries, including the European Union," it said. "In America, Toyota has 10 plants, 136,000 employees and 1,500 dealers that contribute to their local economies. Tariffs on auto imports could hurt American jobs & raise consumer costs," the Japanese manufacturer said. 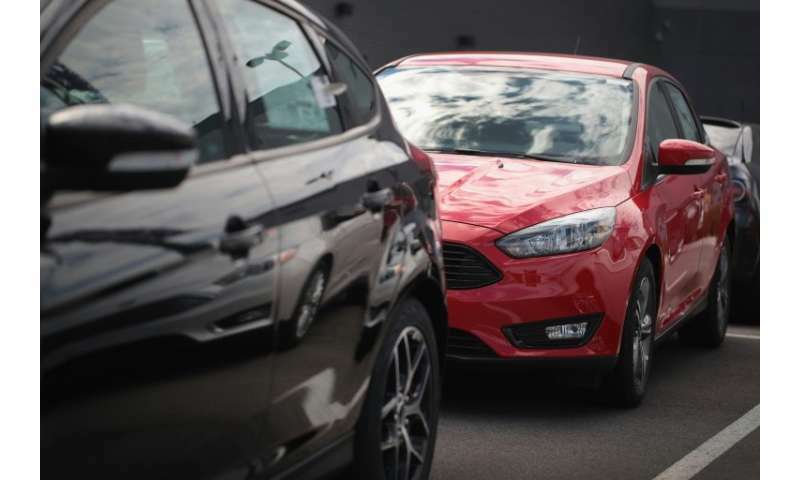 Kristin Dziczek of the Center for Automotive Research in Michigan notes that Detroit's "Big Three" (GM, Ford and Fiat Chrysler) could also be affected by tariffs because the cars they import represent around 14.5 percent of all cars sold in the US last year. Prior to being sold in the US, these cars are mainly produced in Canada and Mexico, the other two members of the North American Free Trade Agreement (NAFTA), which account for half of imports (4.27 million) and of exports (1.07 million). They are trailed by Japan (21 percent of imports), Germany (11 percent) and South Korea (eight percent). "We don't compete regionally; we sell regionally but we compete globally," said Joe Hinrichs, executive vice president at Ford. "The ramifications, unintended or intended, of changes to policies and practices, could be significant." The threat of tariffs on cars imported from Canada could also be a stick meant to force Ottawa's hand in the renegotiation of NAFTA, some experts say. "We believe much of this investigation (of the need for tariffs) is squarely focused on developing a final NAFTA agreement," said Ed Mills, an analyst at Raymond James. "Country-of-origin rules, especially for automobiles, has been a key sticking point in the talks."